About us – Mount Vernon Lodge No. 219 A.F. & A.M.
We have listed some of the questions that non-masons have asked over the years. We are good men that have a strong religious belief in GOD. We are Not a religion, but we are religious in nature. To be one you make ask one, applicants must be men of good character who believe in a Supreme Architect of the Universe (GOD). To become a Master Mason one must petition a particular Lodge. They must have two Mason in good standing sign their petition. The Master of the Lodge appoints a committee to visit the applicant prior to the Lodge balloting upon his petition. Once the petition is voted on and approved the candidate will learn about the degrees he must pass through before becoming a Master Mason. We welcome men of all color, race, and religion. Once again you must believe in a single God and be of good moral character. What Type Of Men May Join The Masons? We consider ourselves to be men of high moral caliber who have a strong belief in a God. We are not a religion, but we are religious in nature. We welcome men of all color, race, and religious backgrounds. To be one you must ask one. Applicants must be men of good moral character who believe in a Supreme Being and demonstrate a desire to join the organization. There are three steps in becoming a Master Mason which begin when an applicant petitions a lodge. They must have two Mason in good standing sign their petition. The Master of the Lodge appoints a committee to visit the applicant prior to the Lodge balloting upon his petition. Once the petition is voted on and approved, the candidate will learn about the degrees or steps that he must pass through to becoming a Master Mason. How Can You Tell That A Man Is A Mason? Most Masons are men who go about their daily lives with no hint of their affiliation except for the way they lead their lives although many are readily recognizable locally by name, face, or accomplishment. If you have a question as to their membership, just ask, questions are welcome although all may not be answered. Have Any Men Of Influence Been Masons? George Washington and thirteen other Presidents, eight Vice Presidents and forty-two Justices of the Supreme Court have been Masons. Our lodge consists of lawyers, doctors, judges, businessmen, school teachers, and too many other professions to list. Our brothers have severed in the Revolutionary War, Civil War, World War I and II, and today they continue to answer the call from our Commander and Chief to serve all over the world. 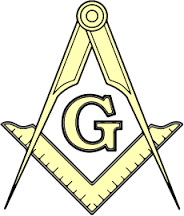 What Do Masons Believe In? We believe in our country and the principles that have made it a great nation. We believe in each other. We believe in the truth, and we believe in a God which is left up to each individual to define. That God must promote peace, love, and harmony – no atheist can be a Master Mason. What Must A Man Commit To Be A Mason? Each Master Mason must adhere to an obligation and guide their actions by that obligation for the rest of their life. The organization as a whole does not tolerate un-Masonic conduct and will remove any members who display it. No one knows just how old Freemasonry is because the actual origins have been lost in time. Most scholars believe Masonry arose from the guilds of stonemasons who built the majestic castles and cathedrals of the middle ages. In 1717, Masonry created a formal organization when four Lodges in London joined in forming England’s first Grand Lodge. By 1731, when Benjamin Franklin joined the Fraternity, there were already several Lodges in the Colonies, and in Canada the first Lodge was established in 1738.